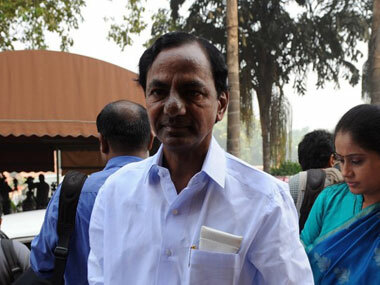 K Chandrashekar Rao's Rythu Bandhu scheme of providing Rs 8,000 per acre per year as cash support amounts to providing a Rs 1,000 crore-bonanza for absentee landlords like real estate developers, urban rich etc. The actual tiller is ignored, while the landowner is benefited. In a state that has a high incidence of tenancy farming, this scheme is bound to have huge leakages. Besides, the tardy implementation of the Forest Rights Act is depriving tribals and traditional forest dwellers, who do not possess ownership rights on the land they cultivate, of the benefits of the scheme. Many other sections of poor cultivators, whose land rights are not yet settled despite the revision of revenue records, also couldn't avail the benefits of the Rythu Bandhu scheme. Such leakages raise questions over the very intent of the scheme. They would make one wonder if the scheme is aimed at providing solace to farmers reeling under indebtedness, or is a master strategy to garner votes through cash distribution by official channels in an election year. At a time when agriculture is becoming a negative economic proposition, such schemes would certainly lead to benefit. Even if the scheme benefits 60 percent of the farmers, it would mean a lot for the welfare of the peasantry. Experts estimate that the Rs 4,000 capital support per season per acre would meet 10 percent of the production cost with regard to paddy cultivation in a wetland area and 30 to 40 percent of production costs in the case of pulses grown in dryland areas. The nomenclature of the scheme itself indicates that it is for tillers, not landowners. In a society where land to the tiller still remains an unfulfilled slogan, there is a fundamental difference between a land tiller and landowner. Agriculture is a cash-intensive sector. The market prices of agricultural lands are at significant variance with the official prices, making such lands vulnerable for the parking of unaccounted incomes. Besides, agricultural income does not attract any tax in India. Experts on black economy, thus, acknowledge the fact that a large amount of black money is parked in agricultural lands. This created a vast class of absentee landlords, people who are farmers on paper but actually do not engage in any agricultural operations, and are not exposed to the vicissitudes of the agrarian economy. Some of these absentee landlords give their land for tenant farming, collecting fixed tenancy fees irrespective of natural and market shocks to the cultivator. It is estimated that tenancy farming accounts for 15 to 20 percent of total land under cultivation in Telangana, though accurate estimates are difficult to obtain as most of the tenancy farming is not recorded. These tenant farmers bear the brunt of nature and the market, besides the exploitation of the landowner. However, the Rythu Bandhu scheme excludes the tenant farmers, who constitute the most vulnerable section of the peasantry. In fact, in recent decades, there has been a massive appropriation of agricultural lands, especially due to the expansion of real estate. Land has become a major speculative source of investment. The real estate developers, the resort and farmhouse owners, private education mafia, and many individuals who have a huge surplus and unaccounted income bought vast tracts of agricultural land. Some of these tracts are not even under tenant cultivation. Most of these lands remain fallow. Even non-resident Indians invested heavily in agricultural land. All these categories of landowners do not contribute anything to the agricultural growth. Rather, they impede agrarian growth by keeping land not under cultivation. However, as they are all owners of agricultural land on record, the Rythu Bandhu scheme benefits them too. The Rythu Bandhu scheme, in the manner in which it is now implemented, does not link the capital support to whether or not crops are raised on the land. Thousands of acres of land are under benami ownership as several people have capitalised on the loopholes in the land ceiling Act. However, these benami landowners are also getting capital support. This not only legitimises the violation of law but also encourages the further flow of black money into agricultural lands. According to rough estimates, such misuse of this scheme amounts to as high as at least Rs 1,000 crores per season. The scheme is implemented in two agricultural seasons in a year. Instead, this money can be spent on providing work for landless agricultural labourers in the lean season for agriculture. Tribals and traditional forest dwellers cultivate about six lakh acres of land in the state. The erroneous assumption is that these tribals have denuded forests. The fact is that there are no forests on these lands, though they are categorised as forest lands in the records. Further, thousands of acres are under dispute between revenue and forest records. These land titles have still not been settled, despite the latest round of revision of land records. Poor farmers have been cultivating endowment lands, government barren lands etc for generations. Yet, they do not have land titles. As per the law, non-tribals cannot own lands in scheduled areas. This is aimed at preventing alienation of tribal lands. Thus, thousands of acres of tribal lands are under cultivation by non-tribals. There are many non-tribal poor people among such cultivators of tribal lands. The law rightly prevents the transfer of tribal land to non-tribals. However, the Rythu Bandhu scheme can be extended to such non-tribal cultivators of tribal lands, without detriment to the interests of tribals, till the settlement of such alienated lands is completed. The government may have many legal hurdles in according land title rights to tenant lands, forest lands, endowment lands, disputed lands, etc. However, the benefits of the Rythu Bandhu scheme can be extended by identifying those who till the land at the village level in the gram sabha. Such beneficiaries can easily be identified at the village level. Despite such leakages, estimates suggest that at least 60 percent of the Rythu Bandhu funds are really reaching the actual farmers. This is fairly high as per Indian standards of public administration. Therefore, no one would oppose the scheme, though it is beyond doubt that it has been formulated in view of the elections. The fact that the scheme was not implemented in the past four years and advertised across the national English media further gives credence to the possibility that the intent behind it is political. However, implementing the scheme by plugging the glaring leakages and extending it to all those who till the land would have gone a long way towards promoting farmers’ welfare, independent of the critical rhetoric around such schemes.